Sunday, April 2 at 2:00 p.m.
One of the most commanding voices on bass today, Yasushi Nakamura is praised for imaginative, quicksilver bass lines that deepen the groove. His blend of guitar-like precision and gut-level blues has sparked collaborations with artists such as Wynton Marsalis, Wycliffe Gordon, Toshiko Akiyoshi, Hank Jones, Dave Douglas, Steve Miller, and more. 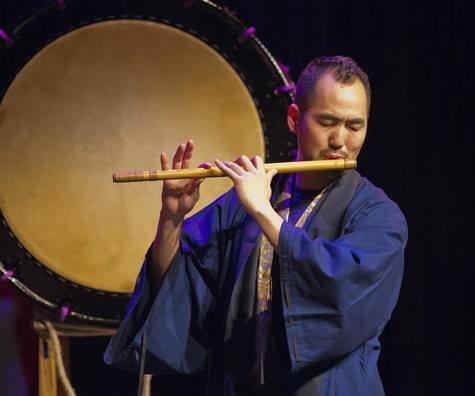 With his charismatic stage presence and artful, hard-swinging melodic touch, Nakamura is a first-call performer capturing new audiences and fans around the world. For more information, please visit New York Buddhist Church’s website. Next Next post: American Buddhist Study Center to Screen Ozu's "Tokyo Story"